Karma, the long awaited first flying camera from GoPro, was unveiled on Monday with a starting price tag of $799, including a handheld stabilized grip for capturing shots on the ground. 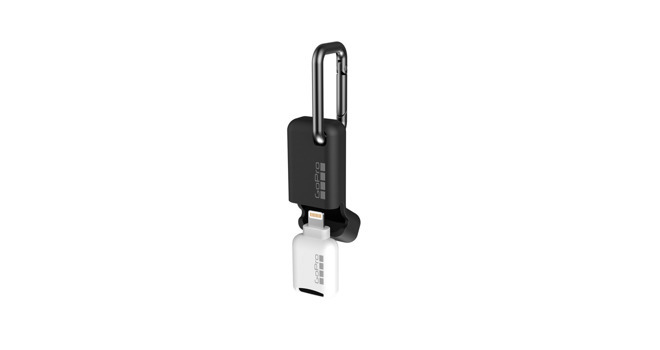 Also announced were waterproof and cloud-connected Hero5 and Session cameras, simplified video editing software for Apple's iOS, and a keychain-sized, Lightning-connected microSD card reader. 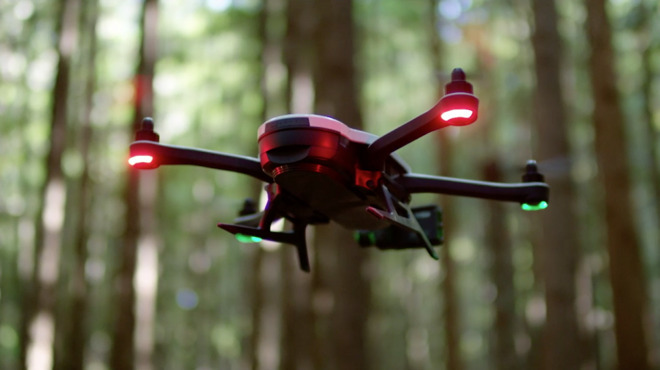 For $799, the Karma includes the portable, foldable drone and handheld gimbal attachment, but users will need to bring their own camera— either a GoPro Hero4 or 5. For those who don't have a compatible camera, a bundle with the Hero5 Session will run $999, while a version with the standard GoPro Hero5 will cost $1,099. The GoPro Karma also includes a backpack for carrying the drone and accessories. The product launches on Oct. 23. Control of the device is accomplished with a clamshell-style controller with a touchscreen display and dual joysticks. The Karma Grip can be used in a handheld mode, but the gimbal can also be attached to GoPro's assortment of mounts. 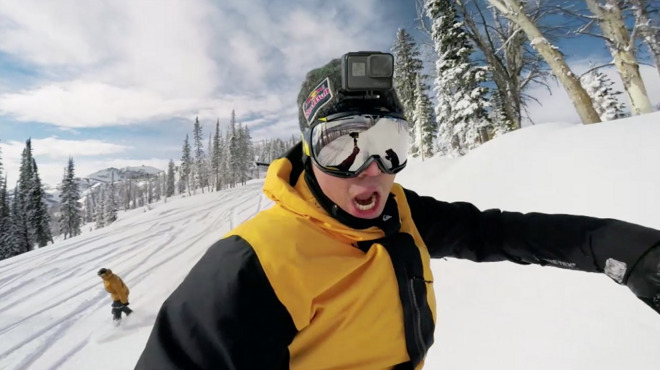 In a video presentation Monday, GoPro showed footage from the Karma Grip attached to a chest mount while the wearer rode a bike down a mountainside at high speeds. Though the bike rode across varied terrain and the environment flew by, the shots captured by the GoPro itself were smooth and steady thanks to the gimbal accessory. Also announced Monday was the $399 Hero5 Black camera, capable of capturing 4K video at up to 30 frames per second and 1080p HD at 120 frames per second. It also has built-in GPS, voice control, and is waterproof without the housing up to 33 feet. The Hero5 also includes electronic image stabilization and a 2-inch touchscreen display. It also captures 12-megapixel still images. The smaller $299 Hero5 Session captures 4K video at 30 frames per second and 10-megapixel images, though it lacks GPS or touch display. 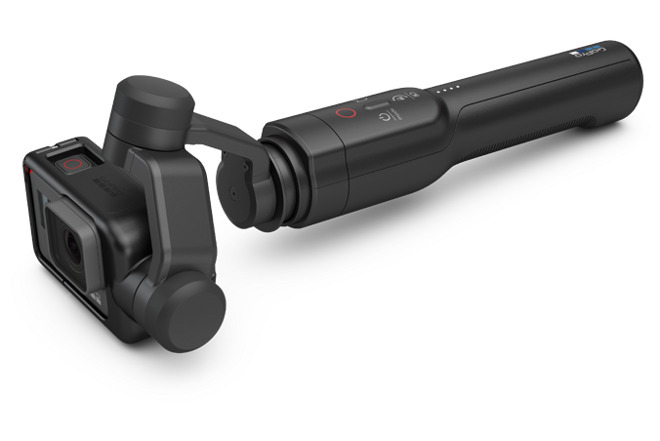 Both it and the standard Hero5 are cloud-connected, and can upload photos and video while charging for paid subscribers to the GoPro Plus service. Both the GoPro Capture and Quik apps for iOS will be updated with support for the new GoPro Plus service. The cloud-based storage and automated syncing solution will cost $4.99 per month. 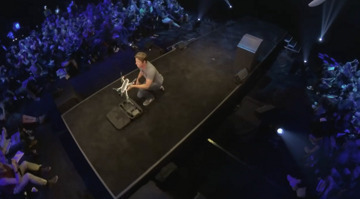 Finally, GoPro CEO Nick Woodman also showed off a new product called the Quik Key, a microSD-to-Lightning card reader. When connected to an iPhone or iPad and used with GoPro's Capture app, users can quickly transfer their videos to their mobile device to edit and share on the go. The Quik Key accessory will cost $29.99.